Team Canada led off the first of the four days of bouts in the first ever Blood and Thunder Roller Derby World Cup 2011 hosted by Toronto Roller Derby (ToRD) at the Bunker in Downsview Park. 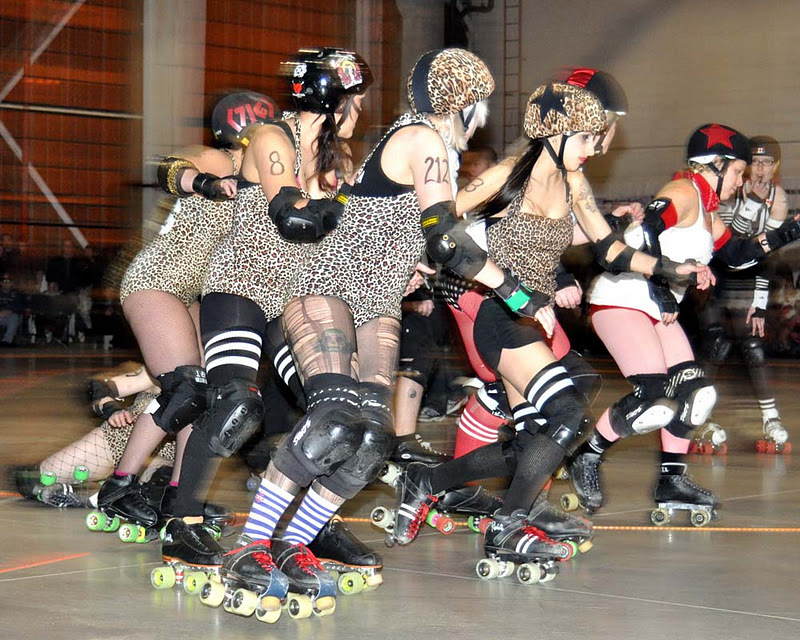 The international flat track roller derby competition runs from Thursday, December 1 to Sunday, December 4, 2011. 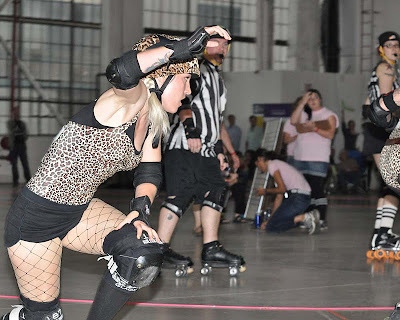 These photos are from previous ToRD games. The first game started at 5pm and featured Team Canada vs Team France. Canada crushed France 244 to 17. Ohhh, jam on that baby! 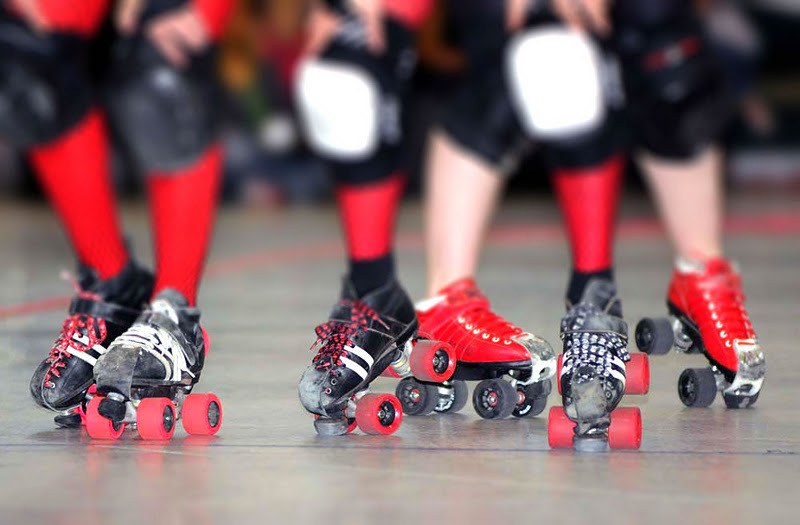 You can also check out ToRD's twitter feed for up to date information http://twitter.com/TOROLLERDERBY. You can watch the games live on the Derby News Network (DNN). Watching the bouts online I was tres disappointed that the fantabulous outfits that the ladies usually wear are in the closet and not out on the track. The 13 teams competing from around the world are: Argentina All-Stars Roller Derby, Team Australia, Brasil Roller Derby, Team Canada, Team England, Team Finland Roller Derby, Roller Derby France, Roller Derby Germany, All Ireland Roller Derby, New Zealand Roller Derby, Team Scotland Roller Derby, Team Sweden Roller Derby and Team USA Roller Derby. Team Canada's players are: 8Mean Wheeler, Beretta Lynch, Bone Machine, Brim Stone, Georgia W Tush, Gunpowder Gertie, Hell on Keller, Iron Wench, Jess Bandit, Killson, Lil Mama, LuluDemon, Maiden Sane, Motorhead Molly, Rainbow Fight, Semi Precious, Smack Daddy, Soul Rekker, TAZ, Teeknee and Windigo. 5:00pm EST Team Canada v Team France, Canada won 244 to 17. 5:30pm EST Team Germany v Team Australia, Australia won 136 to 53. 6:45pm EST Team USA v Team New Zealand, USA beats NZ. 9:00pm EST Team USA "Stars" v Team USA "Stripes"